Everyone knows Toy Story Land is adorable, but did you know there’s a lot of detail and story behind the cuteness? Walt Disney Imagineers are famous for working amazing amounts of thoughtful details into their creations, and Toy Story Land is a great example. Here are a few of our favorite fun facts that you might not have noticed about Toy Story Land at Disney’s Hollywood Studios. 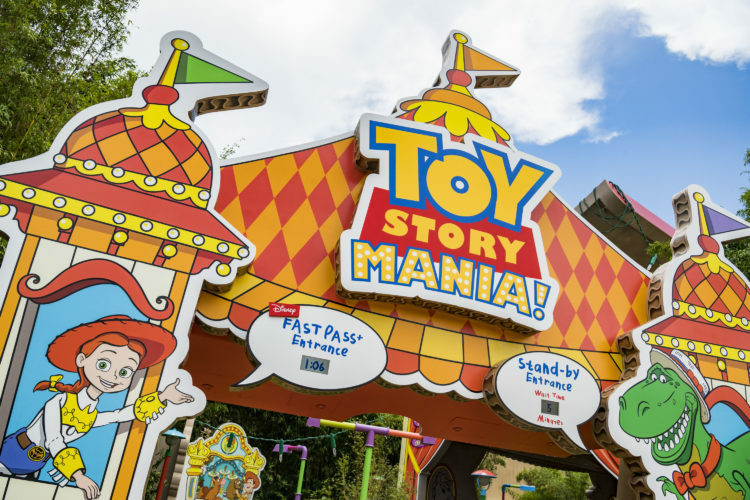 Another fun feature is there are popular toys from many different generations, so all the new toys can find something familiar to them as they play in Toy Story Land regardless of their age. When Andy visited Pizza Planet, he won a fun play set that later became Alien Swirling Saucers in his backyard toy playground! If you look around closely, you will see many elements reminiscent of Pizza Planet including pizzas and pizza toppings hidden everywhere from the columns to the rockets. Of course, our favorite three-eyed Pizza Planet alien friends are piloting each saucer and “the Claw” is dangling overhead while you ride. Andy has positioned Buzz outside the ride and Buzz’s box atop Alien Swirling Saucers in keeping with the space theme in this area of his backyard construction. The music you hear while swirling in your saucer is completely new! Composers were given an opportunity to experience the ride system before the land was opened and tasked to create an entirely new soundtrack that coordinates with the motion of the saucers. They came up with a fun, electronic space music soundtrack that includes eight songs that may sound familiar, but are arranged in a quirky way you’ve never experienced before. When Toy Story Land opened, so did a new entrance to the beloved family favorite attraction, Toy Story Mania. Now part of this new land, guests access the ride from within the boundaries of Andy’s backyard. Don’t worry, Fastpass is still available and the line moves more quickly than it used to because now it also has a 3rd track to allow even more guests to play simultaneously. The colorful new queue offers the same bright colors, vintage toys, children’s drawings, playsets and of course the chatty animatronic Mr. Potato head to admire while you wait. Perhaps the best part of the new queue for Toy Story Mania is actually the exit! 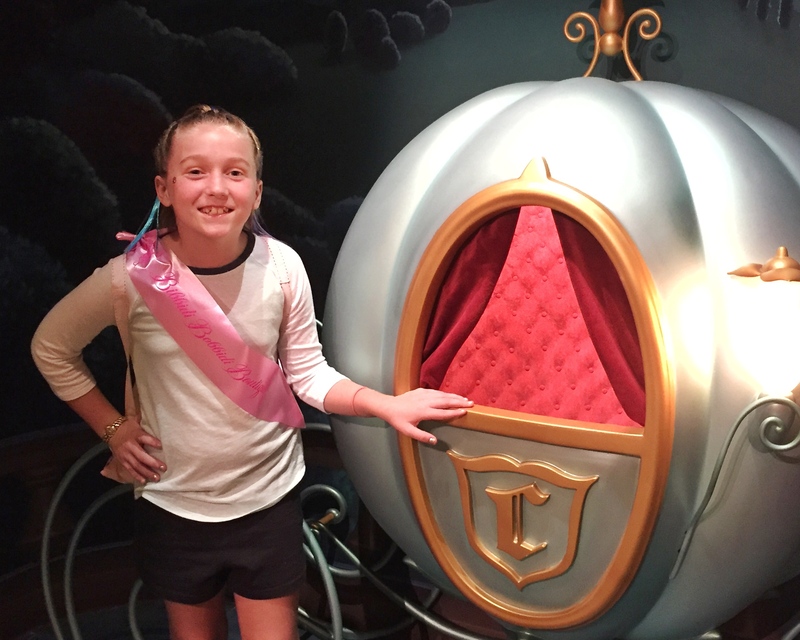 It’s there you can find the infamous Instagram Walls of Disney including the #PopsicleWall and #CheckersWall. There’s also a great wall with Woody (hand drawn by Andy) where he’s saying “so long” that’s very cute! You can actually see one of these walls in our intro for the Must Do’s at Disney’s Hollywood Studios. As the story goes, Andy brought his special vintage lunchbox and propped it open to create a picnic for his green army men. While Andy is away, the toys have turned it into a walk-up window serving you, the new toys, tasty classic bites. Nostalgia-evoking soda floats and “potato barrels” (aka “Tater Tots”) and a homemade pastry tart (think “Pop Tart”) are on the menu as well as S’more French Toast, Grilled Cheese sandwiches served with Tomato Soup and specialty beverages. While kids enjoy the floats or new Mystic Portal Punch, adults can sip on Grown-Up’s Lemonade, beer or hard cider. Andy is the Imagineer behind Slinky Dog Dash. He took his Dash and Dodge Mega Coaster Kit and used everyone’s favorite floppy-eared dachshund with the stretching coil body – Slinky Dog – to send guests around the track. As you approach the ride launch, you will see Andy’s plans sketched out in Crayola crayon on notebook paper. Glue bottles, empty toy boxes and stray coaster parts and pieces are strewn about as well. Make sure you look up while Wheezy is singing to see the Dash and Dodge Coaster Kit box that was conveniently manufactured in Emeryville, CA – the home of Pixar Headquarters! Did you know about all these little touches? What’s your favorite detail in Toy Story Land? What Attractions Are Coming to Toy Story Land at Disney's Hollywood Studios?